Grab yourself a relaxing and refreshing cocktail or a quick snack from this rustic poolside watering hole situated on the lushly wooded Ol’ Man Island at Port Orleans Riverside. 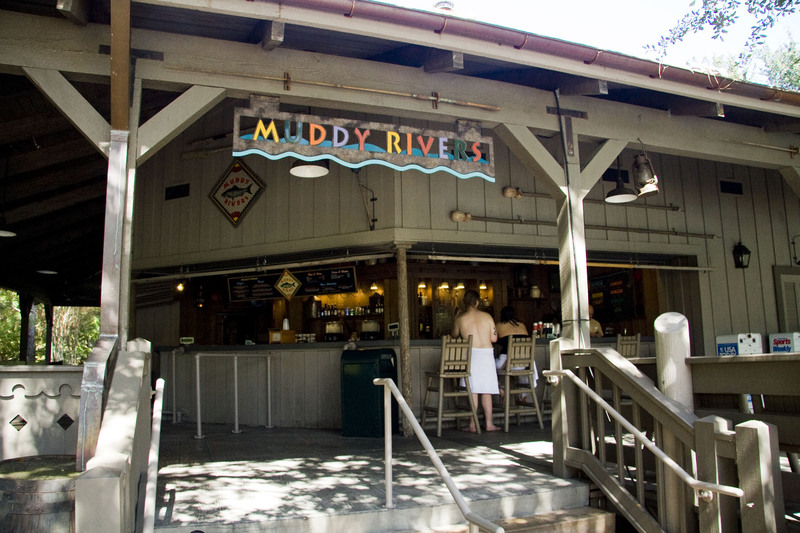 The bar and its separately decked seating area are located right next to the main swimming pool, so parents can enjoy an adult beverage while still being able to watch out over their children in the main pool. 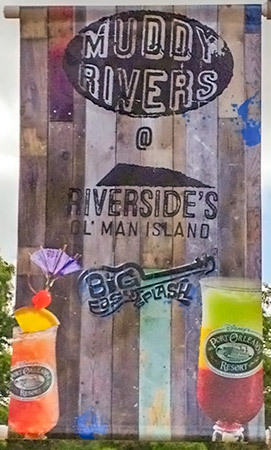 In November 2014 the bar started offering a trial cold-food service alongside their regular drinks menu, and on 5th July 2015 this was formalised under the new banner theme “Big Easy Splash”and a new range of Port Orleans exclusive specialty cocktail drinks was also added to the menu (including the famous New Orleans rum-based “Hurricane”) along with poolside servers to take guests’ orders. Non-alcoholic cocktails and smoothies are also available. Two alcoholic beverages per person with valid I.D. Sales tax not included. Gratuities not included.